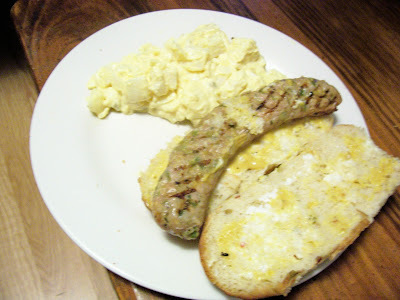 This is a Chicken Hatch Chile sausage. I wanted the regular but the butcher gave me this. 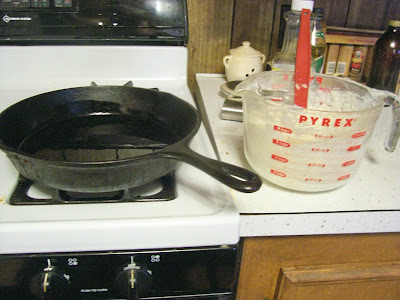 I usually avoid chicken as it tends to be dry. 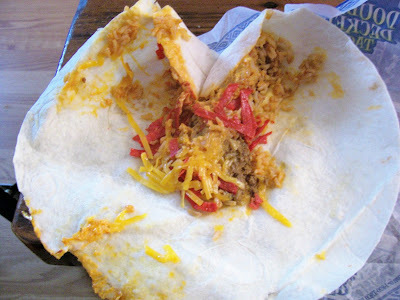 However this one maybe because of the chiles was moist. 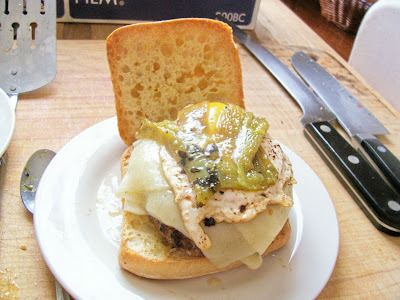 It is sitting on a Hatch Chile hot dog bun. 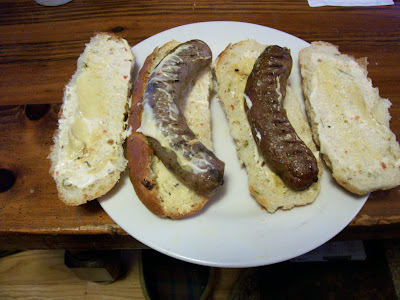 The sausage on the right is a Ranchero. 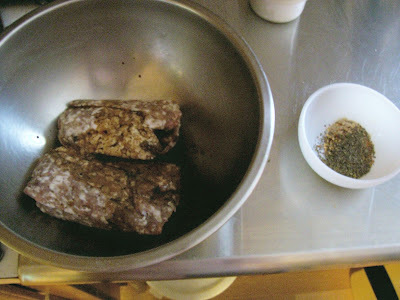 A pure beef sausage with Hatch chiles. The best of the lot. 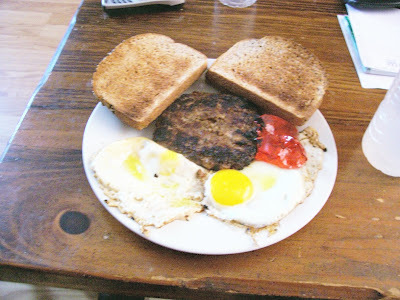 On the right is a breakfast sausage (Maple blueberry pork). 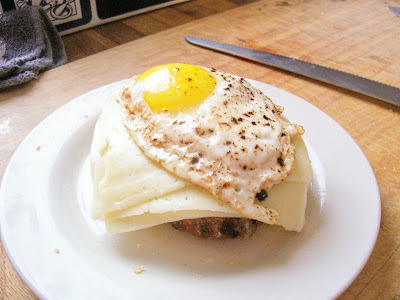 While this one was ok Whole Foods recipe is better. Way out on Westheimer is this lovely French venue in a strip mall. The classic bistro of 80’s America. A step into the space transports you to France. Both the decor and service take you there. Since I‘ve only had lunch here, I am giving just those hours. They do dinner and you can go to the site for that. My Houston friend’s entree consisted of a chopped sirloin steak topped with Gorgonzola served with cole slaw and fries. My tasted proved that meat and cheese could work together. The juicy rich meat paired well with the tangy rich cheese. Her son opted for Quiche Lorraine. 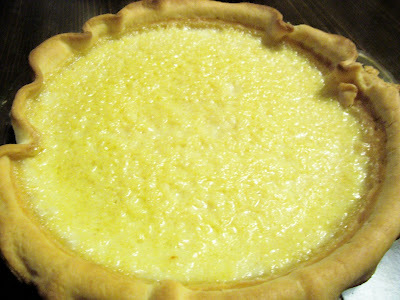 A classic of ham, Gruyere cheese and onions cooked with rich custard of cream and eggs in a pie shell. Excellent taste proving simple food done perfect is always a treat. I opted for pan roasted calves liver served with grilled sliced apples, onions and bacon. Hand cut French fries accompanied. Simple food cooked to perfection. The hearty irony liver flavor tempered by the sweetness of apple and onion brought together by the lusciousness of the bacon. While way out on the west side of Houston, this wonderful French venue of classic dishes is well worth the time and effort to get to. Located along side Jones Grocery on Gerstner Memorial, someone is making another run at making this spot a success when so many others have failed. These people might have a chance based on good food, low prices and enthusiasm. They have put out deck tables with umbrellas to make the courtyard both visible and inviting. The interior has changed little. First foray I went for Ham Hocks and Cabbage. This was served over rice with Candied Yams and Potato Salad. 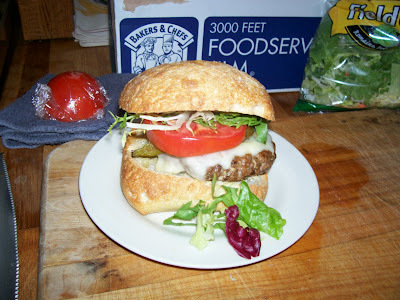 The hocks were meaty and smoky. They proved delicious but some more time in the pot would not have gone amiss. The cabbage contained smoky flavor and cooked down almost to caramelization. The yams sported nice sweet spice syrup and the potato salad perfect. 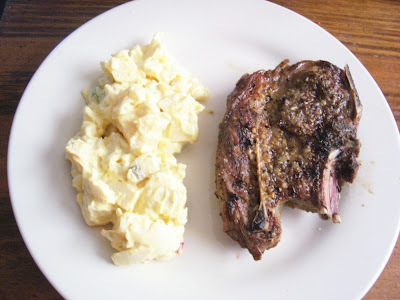 Distinct chinks of potato (firm but cooked) with pickle relish and chopped eggs held just together with mayonnaise. 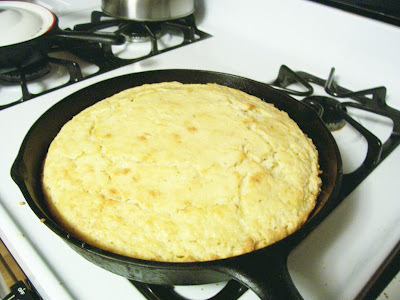 You also get with each plate lunch cornbread (slightly sweet) and a dessert usually bundt cake. The next plate proved the heaven part to me. Pork Bones, Sausage and Beans. Some great greens accompanied it (nice vinegar tang). The bones held sufficient meat to satisfy me. 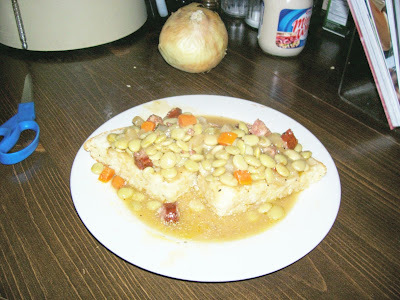 It was cooked tender and flavorful. Slices of a fine ground sausage and huge butterbeans went well with the rice. It was definitely heaven for me. I love eating low on the hog, so much more flavor. This dish gave some excellent bones to gnaw on also, a plus. The last plate lunch is for those people who want something normal. They cook that here also. It turned out to be Smothered Pork Chop over rice. Plastic fork tender with excellent taste and spice. The gravy reflected that. A huge hunk of Baked Mac & Cheese and Stuffed Bell Pepper came with it. The mac & cheese proved true comfort food, the cheesiest. The bell pepper stuffed with rice, ground meat and shrimp and not topped with tomato sauce mirrored another stuffed pepper I ate recently. My mother was of the school of rice stuffing with tomato sauce. I am beginning to take to this new way for me. Final time in I went with a short order, Catfish and Shrimp Platter. I received two large fillets and half dozen large shrimp fried fresh in a spicy corn flour coating with fries and a salad. While not my favorite coating for shrimp the fact that it came right out the fryer made up for it. The catfish was excellent. The fries were perfect also. I seldom like the way fries are done but I ate all of these dipping them into an in-house tartar sauce of mayonnaise and herbs, delicious. 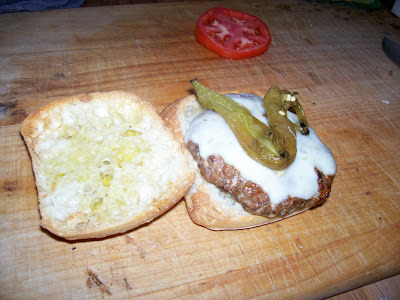 Last one I broke up the patty and sauteed with the chile oil and roasted chiles. 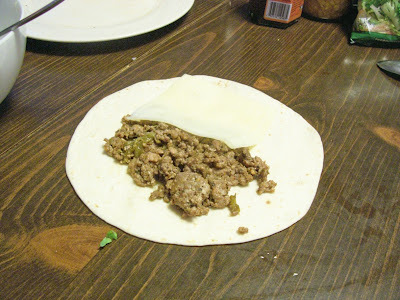 It went on a tortilla with the cheese. I added lettuce after this and made a fine burrito. If I would have had potatoes in the house I would have added them. This was a good recipe. I think that I will use the chile portion in the future as I have a couple of lbs of roasted Hatch chile in the freezer from a Central Market trip. It was Hatch festival last weekend and also this weekend. I bought lots of value added stuff that I will be showing in the future. It will be at least a week or more before I do Real Cajun as I am busy at work and home this week. 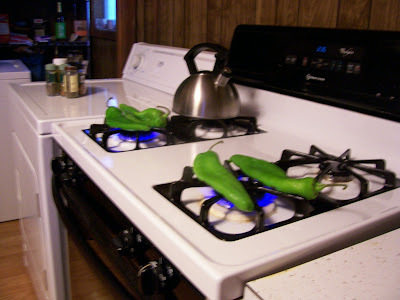 Roasting the Anaheim peppers. One advantage of many of a gas stove. 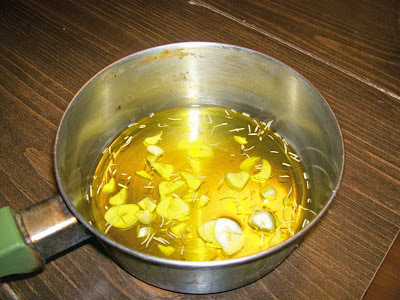 Base of the chile oil is olive oil, garlic and rosemary. I sampled the oil and I must have gotten some hot Anaheim. 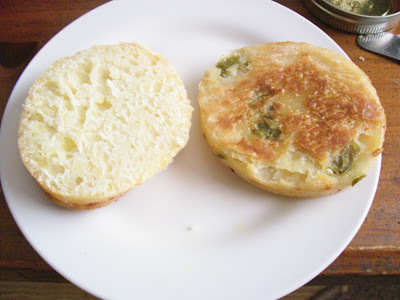 Not as hot as a Jalapeno but pretty close. 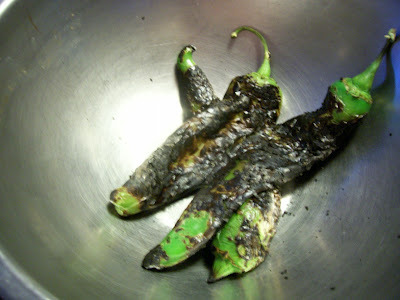 If I had wait for this weekend to do this I could have use some Hatch chiles already roast from Central Market. 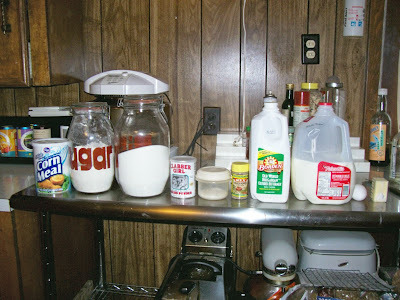 In the future I may make some oil with my frozen stash. 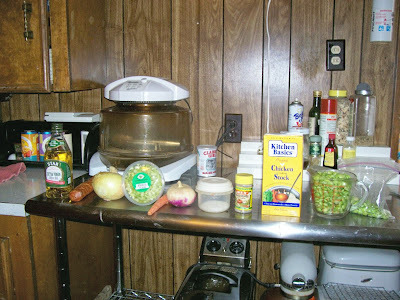 This is the first part of a three part recipe. 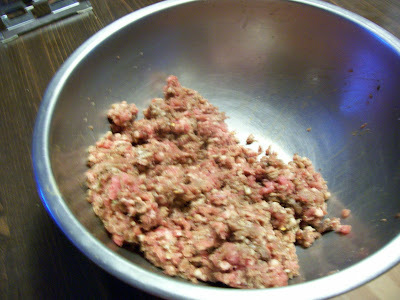 Here are the ingredients for the sausage burger patty itself. 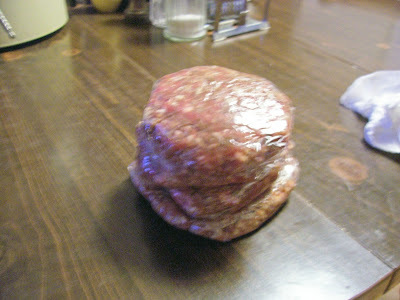 Patties formed and ready. 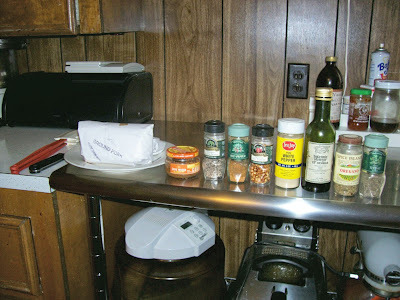 These day I like to let them set in the ice box so they firm up and the seasonings can distribute. 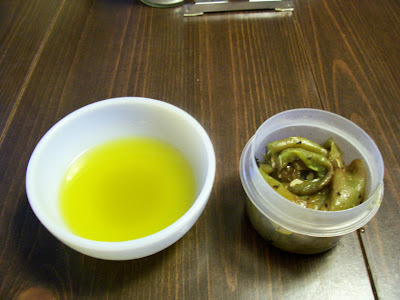 Sausage in the freezer and fresh lima bean at the Farmer's Market led to this recipe. I am hugely glad as it is one of the best I have done so far. 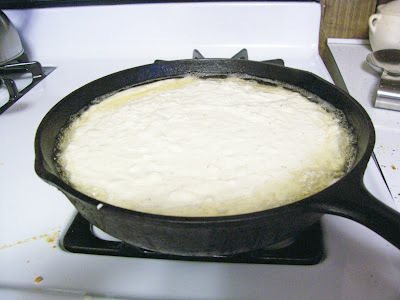 So easy and straight forward but yields a true Cajun taste. 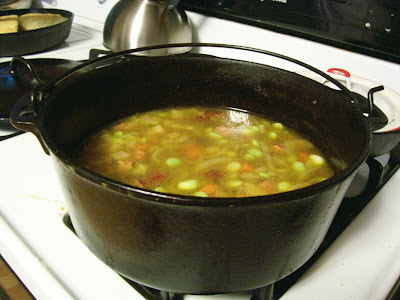 In it I can see what may have been the basis of Blackeyed Pea Gumbo. 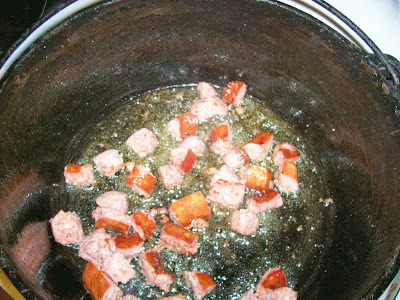 Sausage frying in a cast iron Dutch oven. 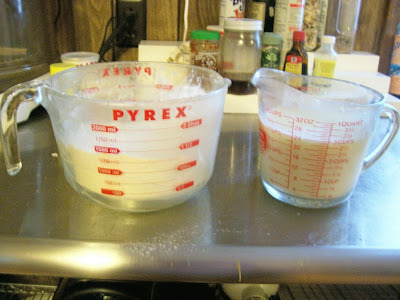 I did find the juices a little thin so I used just a touch of Wondra flour to add a little viscosity and richness to it. The flavor profile was right on. The smoke and spice level of the Bubba Frey product made everything so perfect no other spice required. 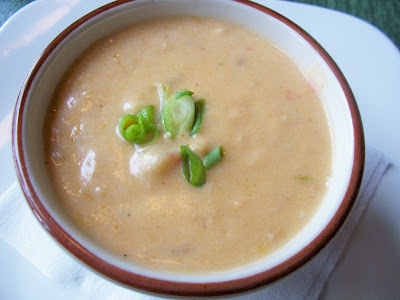 This I will make over and over again in bean season. Thank you Donald. 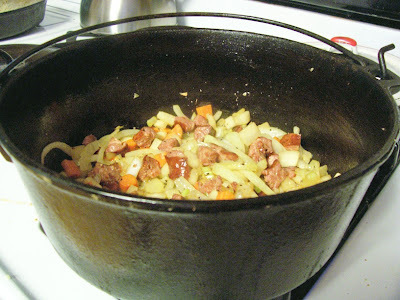 Mixed ingredients ready to go in a hot cast iron skillet with melted lard. The other way I ate it in my youth. 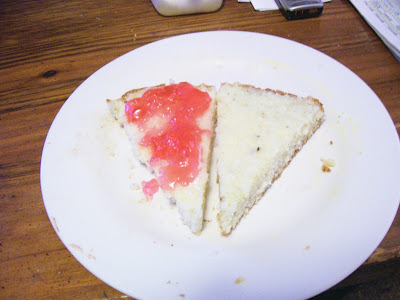 Cornbread and milk with preserves. In this case figs. My mother put up around 100 quarts of figs and a like number of pears for the year. We ate off them like we were ravenous wolves. I had to make somethings over as I feel like I did do my best. 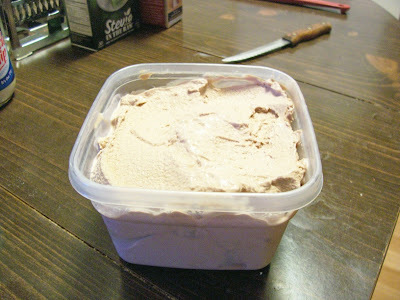 The buttermilk ice cream was not one of those but since I had buttermilk and cream and this is easy to make I made two more. The first was banana. I let a couple of bananas get overripe then liquefied them. This went into the base. The flavor was great. I did not take a picture because it was basically white. The one below is flavored with cherry flavored cocoa powder. This one came out fantastic. The slight bitterness of the cocoa played well against the tartness of the buttermilk with the cherry enhanced by the sugar added. Definitely a keeper. Ok, lets get a couple of thing straight right off the bat. Mazen owns this establishment. He is not closing the original Mazen's. This establishment is a mid-range seafood place that he operates along with his original restaurant and Mazen’s Grill in Lafayette. Got it MAZEN’S IS NOT CLOSING. Second and just as important this is not a Mini Mazen’s. It has its own unique seafood menu and vibe. That said, it is located in the old Ruby Tuesdays. I hear that there will be an oyster bar come winter. For the most part these reports are on a developing menu. At this point it seems almost set although it may see more changes. What I am seeing at this point is a refining of plate presentations. First foray was Shrimp Okra Gumbo, Baked Oysters, Soft-Shell Crab Po Boy and Cheesecake. 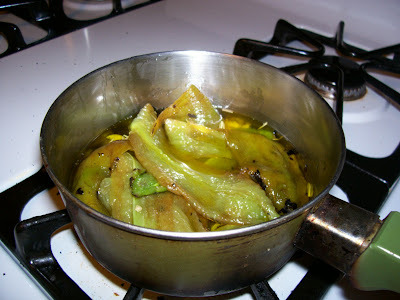 While the flavor of the gumbo was great the incorporation of the okra did not suit my taste (texture). 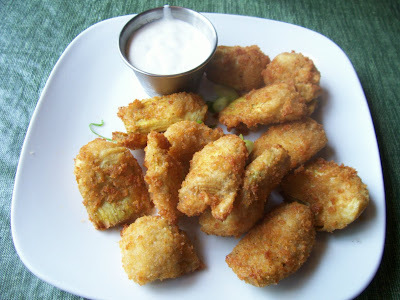 They had flash fried chopped okra and added straight in. I prefer my okra in this dish to be smothered. Still check since they may have adjusted the recipe. Fresh shucked oysters still in the shell with butter and Parmesan cheese on top finished off in the oven. Even though the oysters were a bit small, they were plump and the sauce complimented them. My only thought here is they need to bring out bread to sop up the excellent juices on the charger. The crabs were in a breadcrumb coating, which I normally do not care for but which worked very well in the po boy lending a nice crunch. 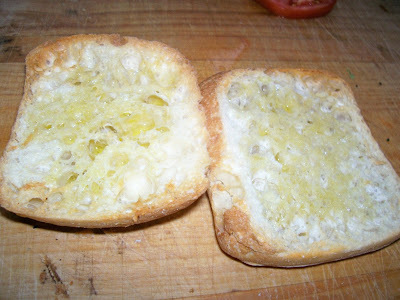 The bread proved excellent (crisp crust, soft crumb) and that for me takes it to the next level. The onion rings I ordered with it came out medium cut, floured and fried perfectly (non-greasy). The in house cheesecake had a light texture with a sour cream kick and citrus undertones, delicious. Next came a group outing. A side salad appeared with mainly berg lettuce that improved on a later visit. The Creole Honey Mustard Dressing saved it. My Engineer friend got a Shrimp Remoulade with white Creole Mustard sauce. The shrimp looked fabulous and my taste of the sauce exciting. I went with an appetizer portion of Crab au Gratin. 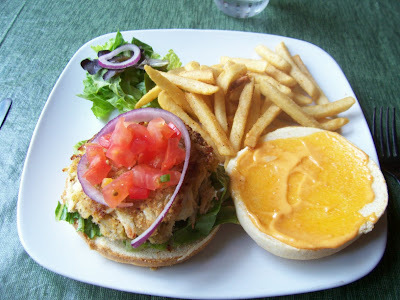 It came out with loads of lump crabmeat in a rich and luscious multi-cheese sauce. The whole table enjoyed it. My Internet friend’s friend ordered Seafood Stuffed Shrimp fried. 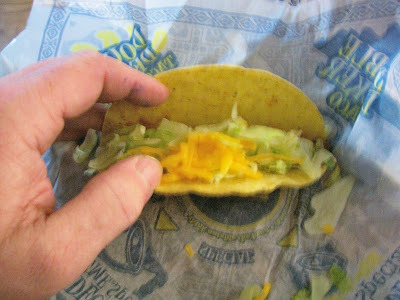 While I did not get a taste the comments about it were good. My Internet friend went with Seafood Pasta with crab, shrimp, and crawfish in a Mornay sauce (white sauce with cheese) over bowtie pasta. 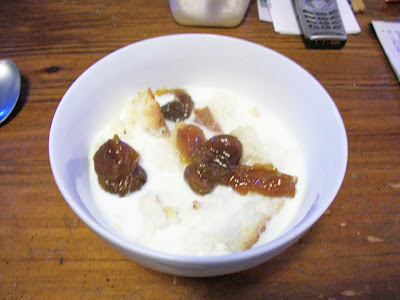 My taste proved rich and creamy with a mild spice level. My Engineer friend ordered the Seafood Stuffed Fish. This consisted of two sauteed tilapia fillets sandwiching seafood stuffing topped with a spicy tomato sauce. I got a taste and was struck how everything went together. 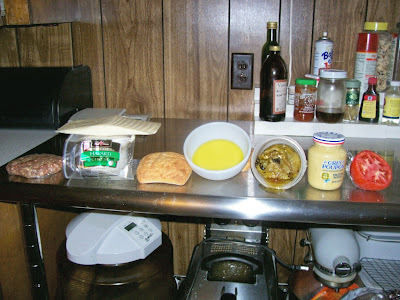 My Cooking friend opted for Catfish Acadian. Fried catfish pieces topped with crawfish etouffee. Perfectly fried catfish and a brown spicy etouffee made this dish a winner in my eyes. My sister got a Barbecue Shrimp appetizer for her meal. It had components of that famous New Orleans dish. In general the best restaurant version we have had but not anywhere near the original. I went with the 3 Stuffed Crabs. 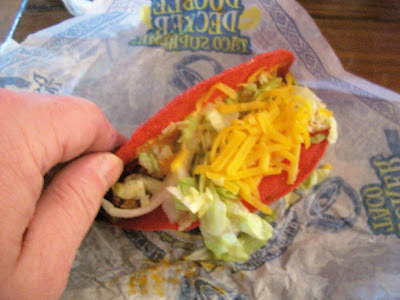 It came in a real crab shell with an 85% crab and bread stuffing with trinity, very flavorful and satisfying. A huge hill of fries and onion rings sat underneath it. A dinner with my Enthusiastic friend followed. We shared an order of half Rockefeller and half Bienville Oysters. These proved to be classic interpretations. The anise flavored spinach sauce and the cheesy bacon sauce has been complimenting oysters for decades. No need to change a good thing. She ordered the 3 Stuffed Crabs. This time the plate was more restrained with only a small hill of the fries and onion rings. 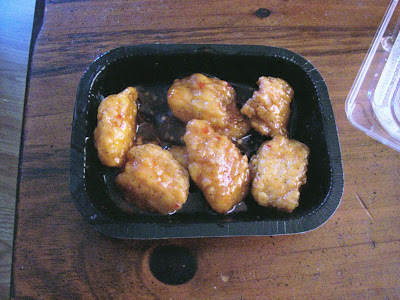 It also contained two stainless steel gravy boats, one with in house tartar and the other with in house seafood sauce. 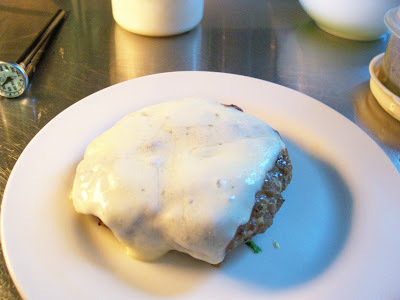 The stuffing also seemed to béchamel (thick white sauce) based rather than breadcrumb. I got the Bayou Seafood Salad. A beautiful and elegant arrangement of mixed greens, tomatoes, cucumbers, boiled shrimp, and crabmeat. 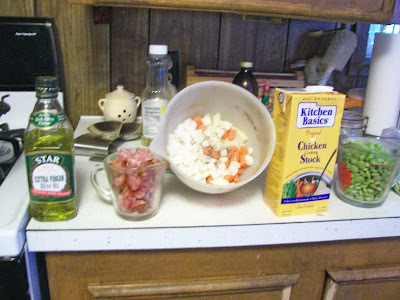 The Sweet Balsamic Dressing (balsamic vinegar, oil and shallots) proved an excellent match. Great for eating light in this hot weather. Now besides an excellent box mix Wanchai Ferry has frozen meals for two. 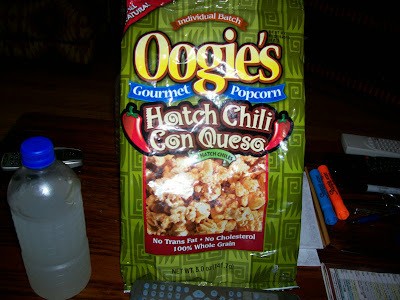 Here is the packaging for one that I tried yesterday. 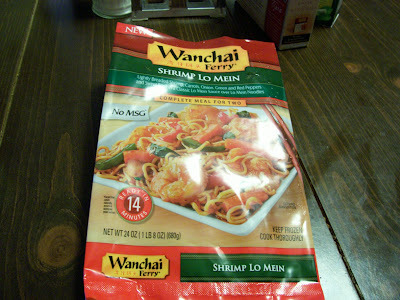 The totally amazing thing was this lo mein especially the noodles was about ten times better than what I picked up at Lucky Wok. The shrimp came out excellent not overcooked and it had vegetables to boot. I would not hesitate to buy again especially if I had a coupon. 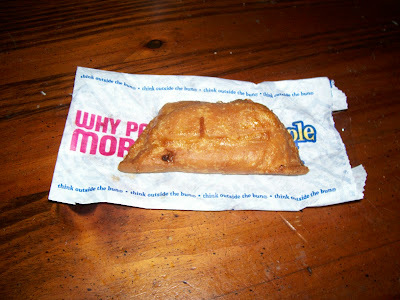 Finally some Carmel Apple Empanada from Taco. I never past them up. If you like caramel you should try these. 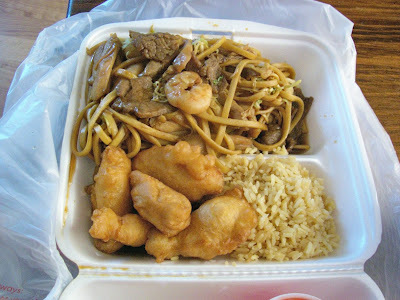 The combo plate of House Lo Mein and Sweet and Sour Chicken. 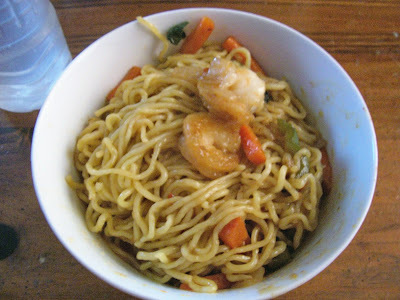 The lo mein has shrimp, beef, pork, and chicken in it. The meat is fabulous and so tender. The pasta is linguine and I prefer spaghetti noodles instead. I end up only a portion of it. 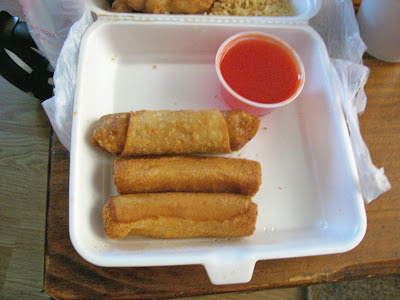 The batter on the chicken was thin and crispy with meat tender. 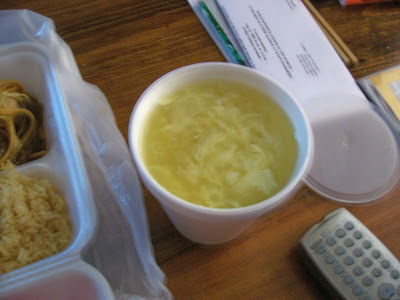 The egg drop soup was pretty standard and I liked it.